Tag Archive | "Andrews Air Force base"
Posted on 01 June 2017. 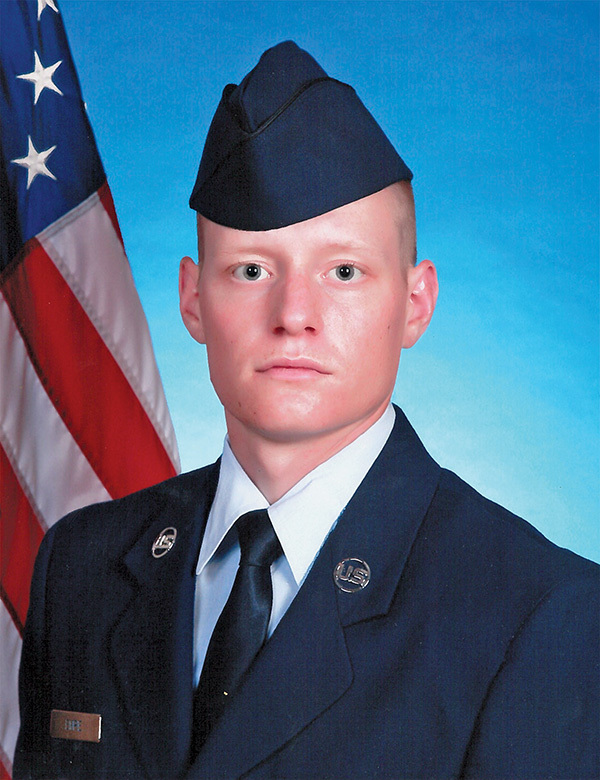 Tags: Air Force, Andrews Air Force base, Brandon M. Empie, Cedar Springs American Legion, Empie, Jenifer Smigiel, Matthew Empie, memorial day, Merlington, Royal Air Force Mildenhall, Tri County High School, Washington D.C.
Brandon M. Empie, 23, a 2012 graduate of Tri County High School, is currently home on leave and took part in Memorial Day ceremonies with the Cedar Springs American Legion. He joined the Air Force almost five years ago on September 11, 2012. Brandon has served two years at Royal Air Force Mildenhall in England; was deployed from there to Arba Minch in Ethiopia for six months; and is currently stationed at Andrews Air Force base near Washington D.C.
Brandon is a security forces member and is certified as a response force leader. He is the son of Matthew Empie and Jenifer Smigiel, and grandson of Rusch and Pat Merlington, and Don and Lucille Empie.